Have you ever wondered why they don’t teach public speaking and presentation skills in school? Aren’t schools supposed to be helping the younger generation to become work-ready? Well, it transpires that they have specific targets for academic subjects that they must meet and exceed if they hope to secure their funding and position in the league tables. Instead of this being a bad thing – I see it as an opportunity for Toastmasters to give back to the community. 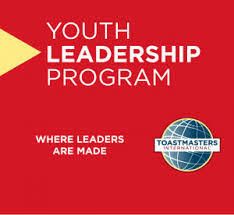 Toastmasters International provides learning materials to Toastmaster members who would like to deliver the Youth Leadership Program to local schools and youth organisations. It consists of 8-10 weekly sessions of approx. 90 mins and culminates in a Showcase event where the children can show off their new skills to their friends, family and teachers. I have been fortunate to have run a successful series of these programs at different schools in the Telford area. In fact the last school I went to was so impressed they asked me to come back and do it all again with a new group of children. I ask for the quiet kids and the disruptive kids as they are the ones who need to find their voice the most. Often these kids are also the most able and it’s a real treat to see them develop this life-skill right in front of my eyes. The parents and teachers are blown away at the transformation and the kids themselves are surprised and happy that they have overcome something so significant (fear of speaking in front of others, or fear of not being heard or included). The Youth Leadership Program agenda is packed and fast-paced. The things we cover in the YLP include chairmanship, listening skills, evaluations, responsibility through meeting roles, speaking techniques like vocal variety, body language and gestures, stagecraft, preparing and delivering content, choosing topics, structure, getting to the point, humour, storytelling and grabbing the audience’s attention. Often the children will ask to speak in assembly or join a debating team afterwards, as they get a real taste for it. We even had someone join the Youth Parliament afterwards! If you know of any schools in Telford that might be interested in running the program, then let us know on 07973 490150. This entry was posted in Uncategorized and tagged body language, chairmanship, debating, evaluations, listening skills, stagecraft, storytelling, Telford, toastmasters, Youth Leadership program, Youth Parliament. Bookmark the permalink.